Hearthstone game director Ben Brode appears in a recent video from Ars Technica, wherein he explains some of the game’s Unsolved Mysteries — or, more simply, answers a spread of fascinating questions about the game and its development. With the recent release of The Witchwood, perhaps the most immediately pertinent answer relates to the Hearthstone team’s development cycle. Brode explains the developers are usually three full sets ahead of what the public has seen and knows about. The set to follow The Witchwood has passed the “final design stage,” which is where the finishing touches are applied and balance is given rigorous testing. Essentially, the set after The Witchwood is already completed and waiting its turn to be released to the masses. The set intended to follow that set is currently in the final design stage, and the third set to follow The Witchwood — which would mark the start of the next year of Hearthstone — is in the “initial design phase” where most of the ideation takes place. It’s in development, but early in the process; themes, mechanics, and concepts are still being discussed and created. When you really think about it, the Hearthstone team being roughly a year ahead in development isn’t that surprising. With the pace of Hearthstone expansion releases, being a couple expansions ahead is just plain a good idea, especially with the game’s structure and format. 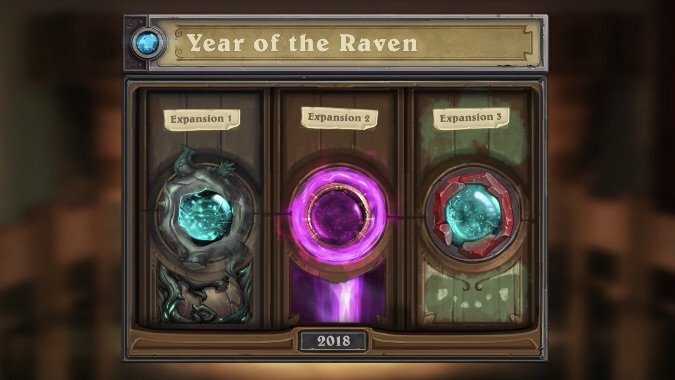 Hearthstone recently entered the Year of the Raven, and it makes sense that the developers would already know what the Year of the Raven entails. Even in this year’s initial announcement, the associated graphics teased each of the upcoming expansions. I’m not sure Blizzard would release such a thing if the expansions weren’t already finished — or close to it. Ars Technica’s video didn’t focus exclusively upon expansion release schedules, though — far from it. Ben Brode answered an array of questions, including a question about wacky card ideas that never made it into the game. One such idea was a 1/1 Slime that gained +1/+1 for every game you lost in a row. In a minor case, the Slime would give players an edge that allowed them to escape a losing streak. In extreme cases, players could intentionally lose an enormous amount of games in a row and bust out a Slime with massive stats for the comedy of it. In the end, they scrapped the idea, which was probably for the best. Brode also details a card idea where mousing over it would deal damage to whomever moused over it. Any time a player moved their mouse over the token on the playing field, they’d take damage. Again, hilarious, but technically difficult and maybe not as fun in practice as it sounds. We highly recommend watching the full video. It’s just over 14 minutes long, but every single minute of it is worth it, packed full of Hearthstone trivia. 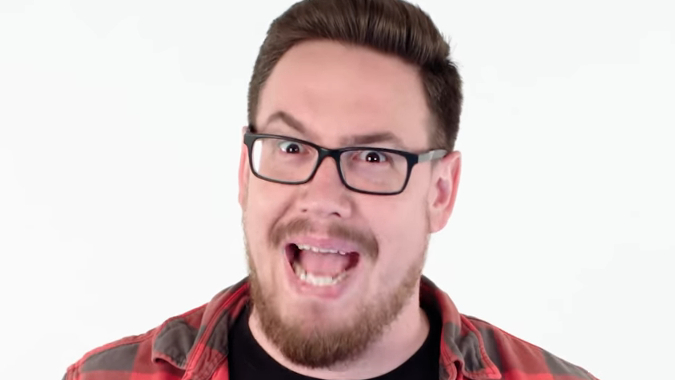 However, the video does lose a few points for not including a single trademark Ben Brode laugh.